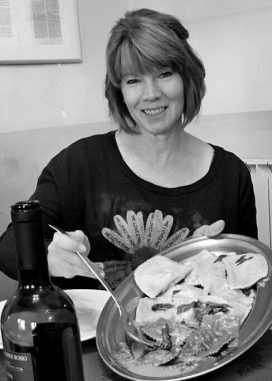 Cesar Chavez said: “The people who give you their food give you their heart.” Valentine’s Day is the celebration of sharing our hearts. It only makes sense then to give food gifts for Valentine’s Day. Where did the days of construction paper, crayons, glue and (if you were very lucky) stickers go? Do I just not see it as much because my children are grown? Do kids still scramble to find the biggest shoe box in the house to cover with crepe paper and imperfect hearts for holding the collection of cards from their friends at school? Candy hearts, gum or even a lollipop found taped to a card was extra reason for joy. Simple joy. Small favors. Thoughtfulness. I love getting a card in the mail. It’s such a simple thing, really, just knowing someone was thinking of me and took the time to do that old-fashioned act of putting a stamp on an envelope. Is there anything sweeter (literally and figuratively) than receiving a small cellophane bag of homemade cookies? Maybe a small cellophane bag of homemade cookies with the recipe attached? Valentine’s Day is a holiday for small gestures of kindness and thoughtfulness, glammed up with a little effort. 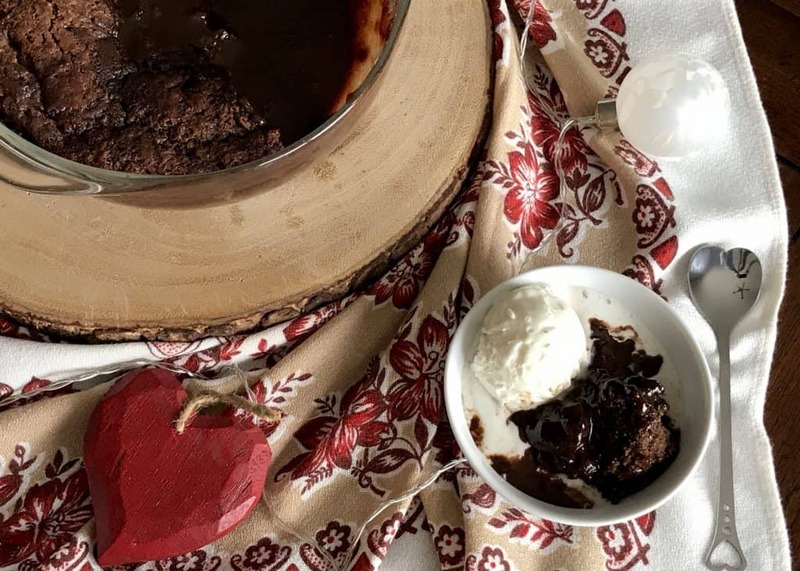 So let’s break out our crepe paper and crayons … or color printers and glue guns … and see if we can’t find some ideas that will make your Valentine’s heart and stomach happy. I wish I could take full credit for this one but the idea came from a free publication I picked up at our local Fresh Thyme grocery store last fall. Their theme was “Perfect TEA-cher” (need to show a teacher a little Valentine joy? ), but I had it in mind for a very special friend who loves tea and especially the celebration of holidays. The tea in this cup (from Little Woods Herbs & Teas) is appropriately called “Heart Tonic” and contains these tiny, pink rose petals that emphasize the sentiment. 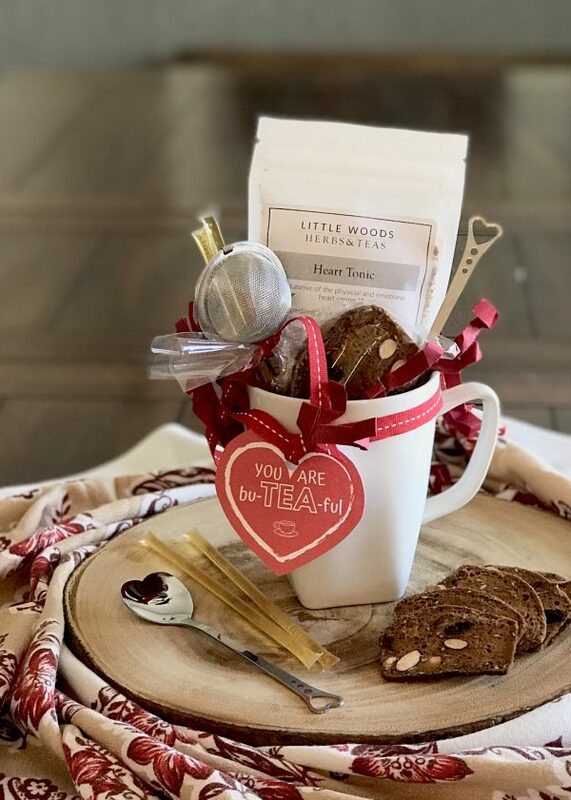 To complete the gift, I added some fruit and nut cookies, honey sticks, a tea infuser and a sweet silver heart-shaped spoon, all tucked neatly inside a mug. A cute heart tag with the words “You Are bu-TEA-ful!” completes the gift. 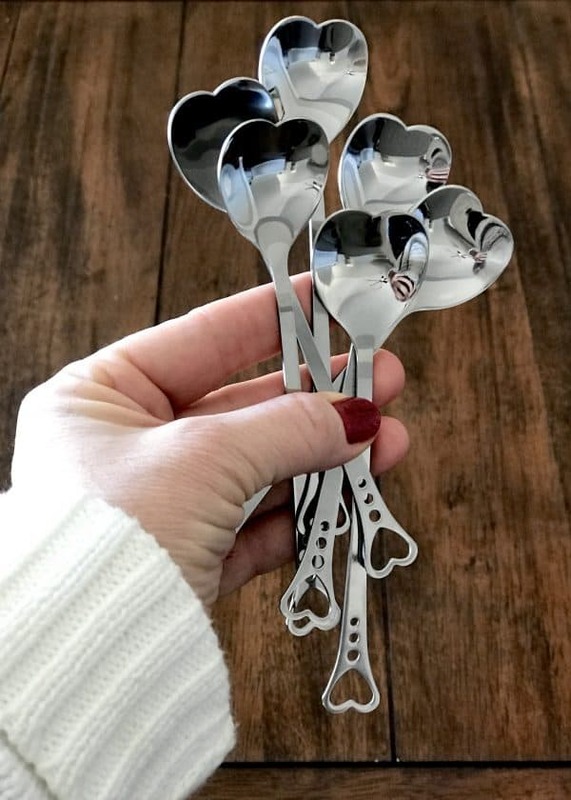 Seriously, though, how CUTE are these spoons! Six of them for $6.50. Get them here. 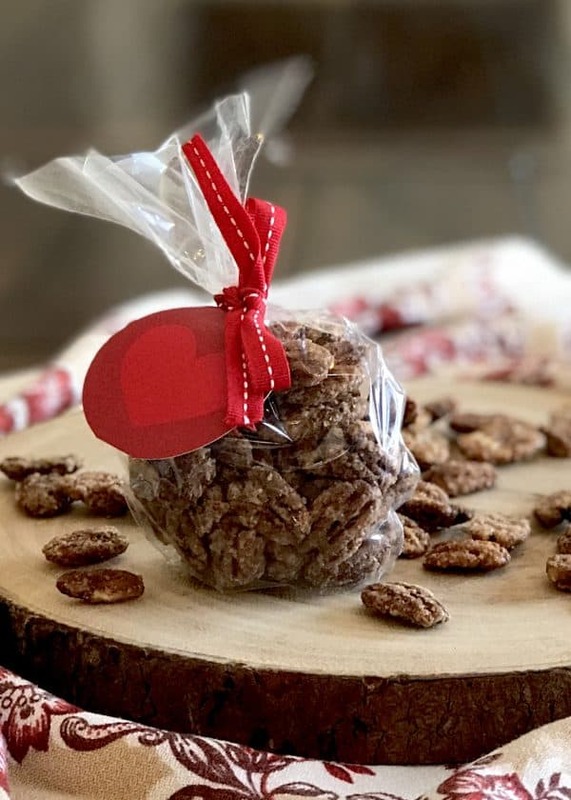 Sweet and spicy, these pecans are so impressive because they are delicious but also simple to make. The “spice” comes from a mixture of cinnamon, nutmeg and clove but you could add a bit of cayenne if you like some actual heat. Almonds, cashews and walnuts are options too. 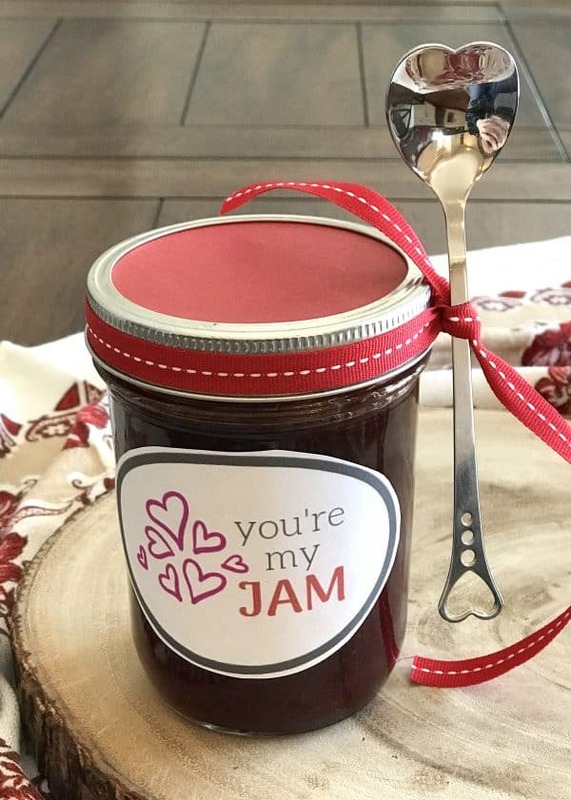 Including the recipe with this Valentine will remind them all year long that they are special to you. Just like I think about my good friend, Lori, whenever I make them. There’s only one hitch with this gift … and it’s pretty obvious but bears mentioning: make sure the recipient is not allergic to nuts. 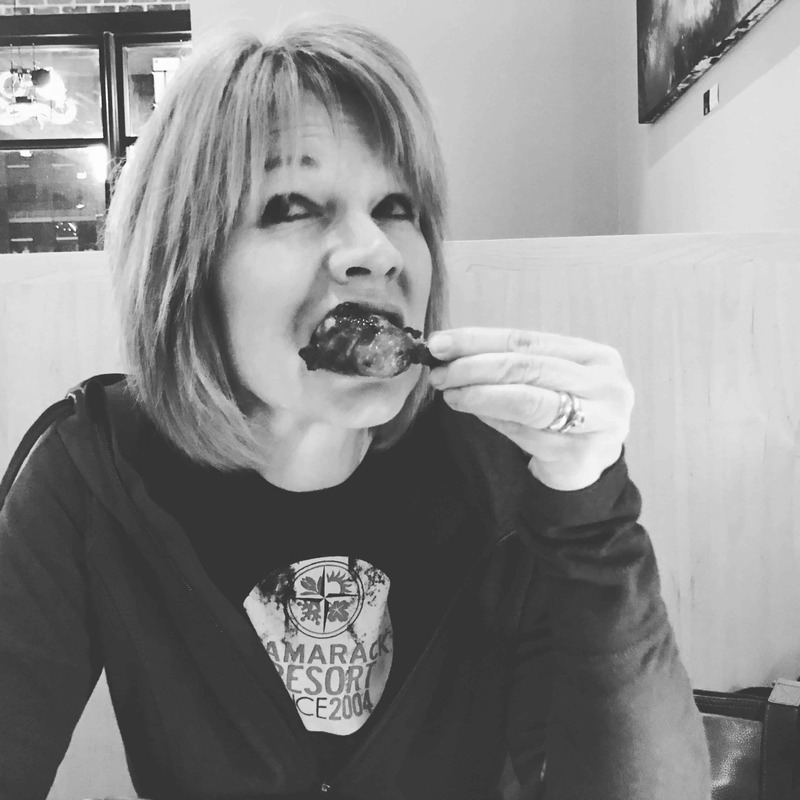 Just the smell of bacon sends a message of love … am I right? 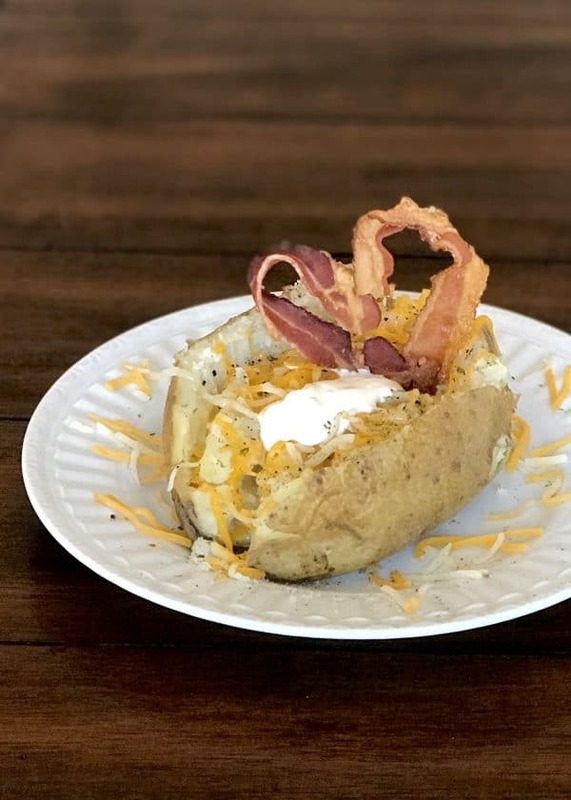 Whether you are making pancakes or a cheesy soup (why, yes, I do have a recipe for that), baked potatoes or a BLT sandwich, a heart-shaped piece of bacon provides the perfect, edible adornment to make your family and guests feel special. Start with center-cut bacon (it’s not as long as the regular cut) and cut each slice in half lengthwise. Pinch the two ends together and place on a baking sheet (with sides). Take each of the other ends out and around, laying the sides out in a heart-shape, until they meet again in the center. Press these ends together and reshape your hearts. Place baking sheet in a COLD OVEN. Turn oven on and set temperature to 400 degrees. When oven reaches 400 degrees, start checking on the bacon. When bacon is nice and crispy, remove pan from oven. Tip one side of the baking sheet up on some potholders to force the drippings to the other side. 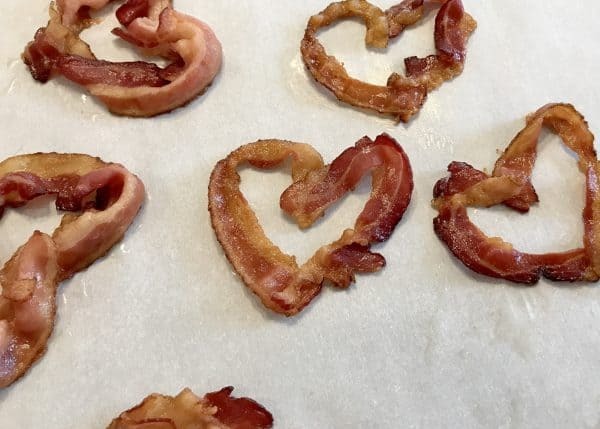 Allow bacon hearts to cool (very gently moving them out of the drippings if necessary). Gently remove hearts to paper towels or a plate using a spatula/turner. Add some maple syrup or black pepper before baking for even more flavor. 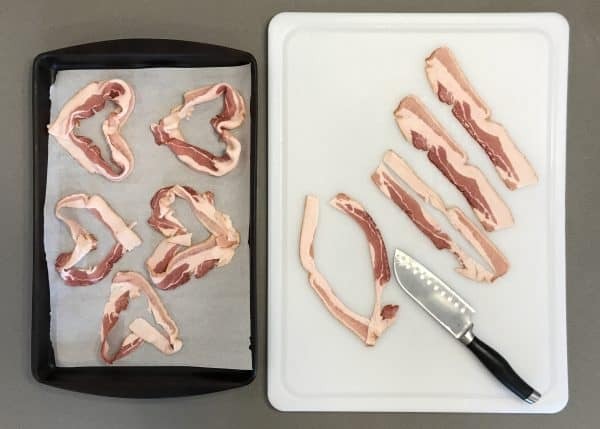 For more ideas, you can search “bacon hearts” on Pinterest. There is not one single thing wrong with a gift card, as long as the gift card is for something the recipient loves. It becomes even more thoughtful when you accent the card with a fun token. 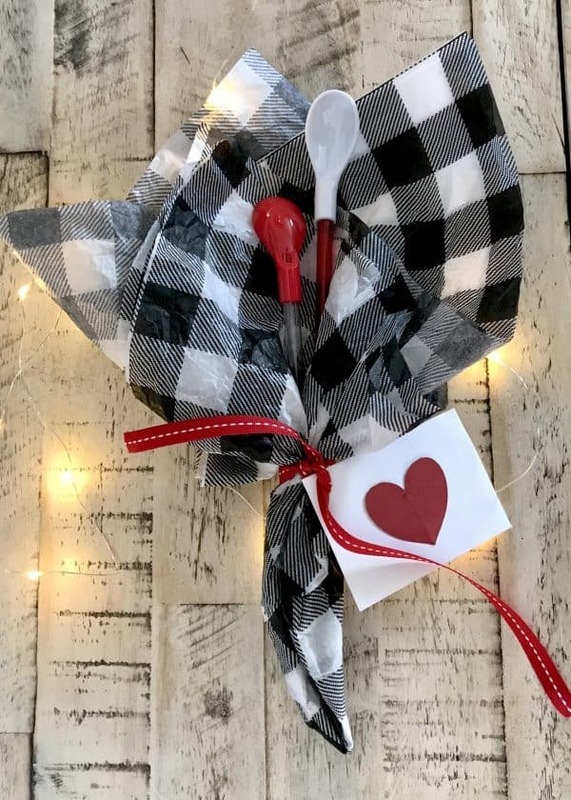 Add one of these sweet spoon-straws to a gift card for a favorite ice cream shop and the Valentine goes from nice to a smile-inducing gift. Yes, I said “spoon-straw”. Brilliant, right? A long-handled spoon with a hole in it so you can slurp up all the melted goodness at the bottom of that root beer float or chocolate shake. I’m pretty sure there are a few frozen beverages that would benefit from a “straw” like this too. You can get them here. Again, six for a little more than a dollar each. I don’t know about you, but I would have LOVED to get this Valentine when I was in college. 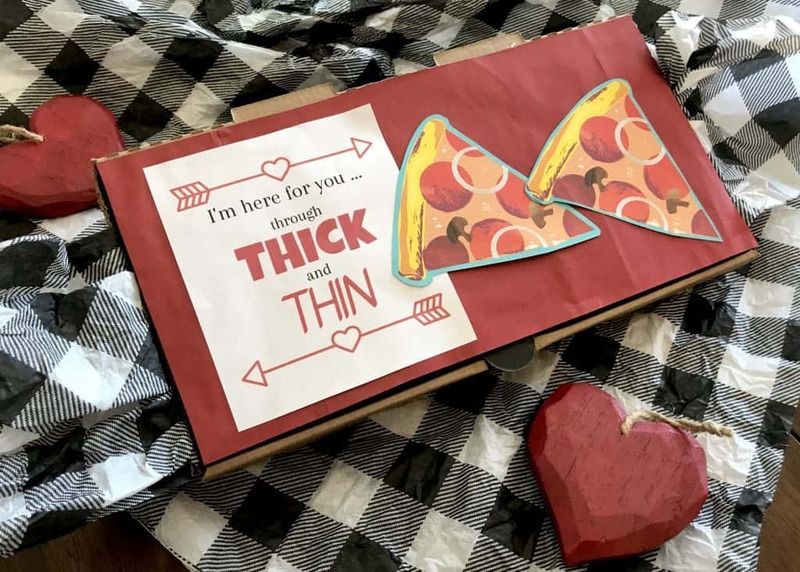 An empty pizza box … well, empty except for the gift card to a local pizza place inside … and a supportive message to go with it. This is the gift that says “everything is going to be just fine!”. DISCLAIMER: For those of you paying attention, when I was in college it would have been a gift CERTIFICATE, not a gift CARD. Ah … memories. At first glance, this looks like a “guy” gift. It is, but it is also a gift for CARB LOVERS! 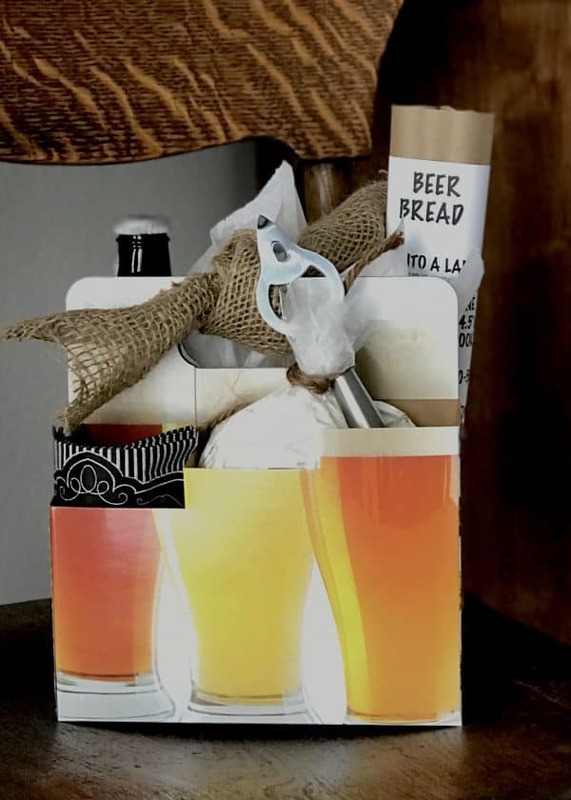 This six-pack carrier contains all the fixins for a beautiful loaf of beer bread: simple mix, one bottle of beer, a bottle opener, the recipe and some napkins. If you want to leave out the alcohol, just substitute a bottle of ginger beer. Who’s the entertainer in your family? Or that friend who bakes the perfect bars for every tailgate and party? 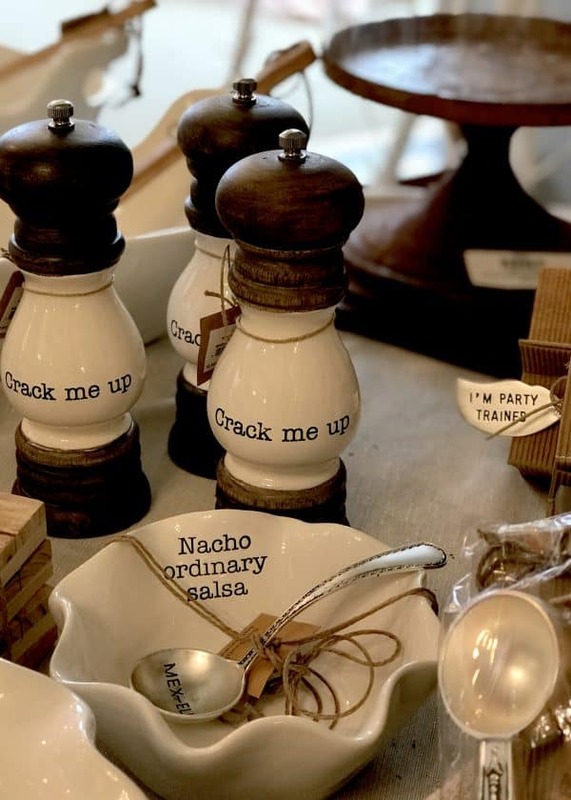 These serving pieces are from a local shop called Holly’s. This is a small sampling of the fun selection they have. 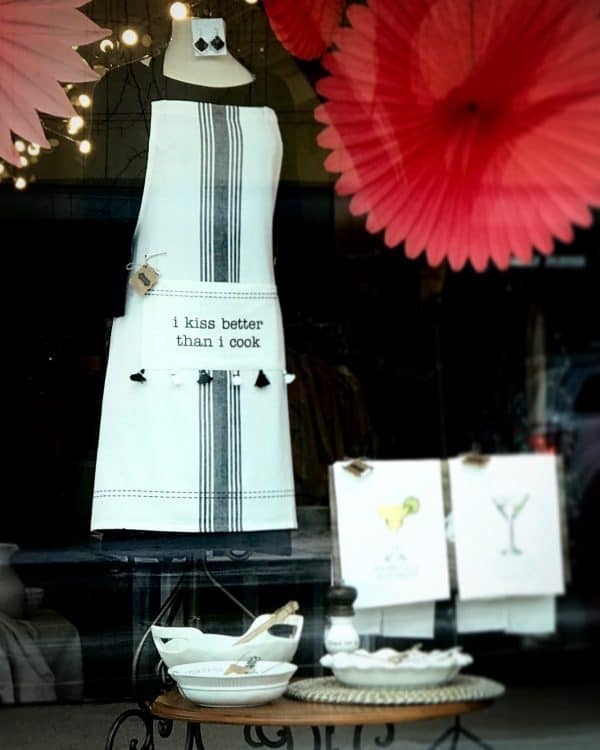 This apron caught my eye on my way out of the store. I think it’s a compliment for the chef and the non-chef alike! It doesn’t matter if it’s homemade or a store-bought favorite, jams and jellies are always appreciated. 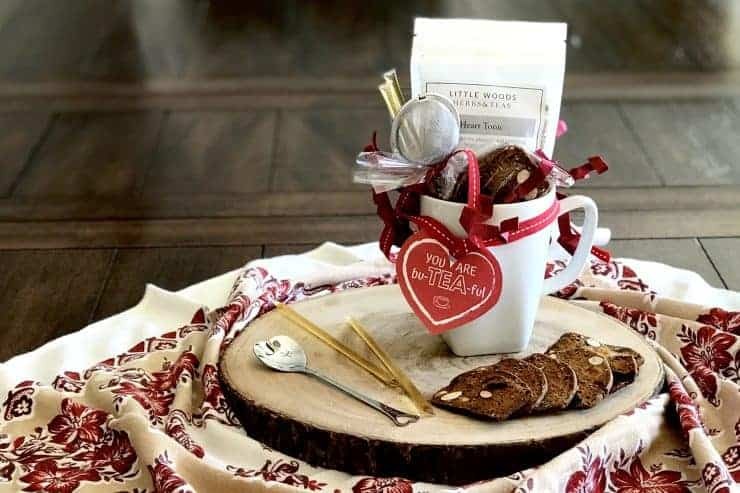 Tie a fun ribbon around the ring, add a silly label and, since you already bought the heart tea spoons, attach one for that little something your Valentine gets to keep after the jam is all gone. This idea was inspired by the nicest display of kitchen and home products at The Woodsmith Store. 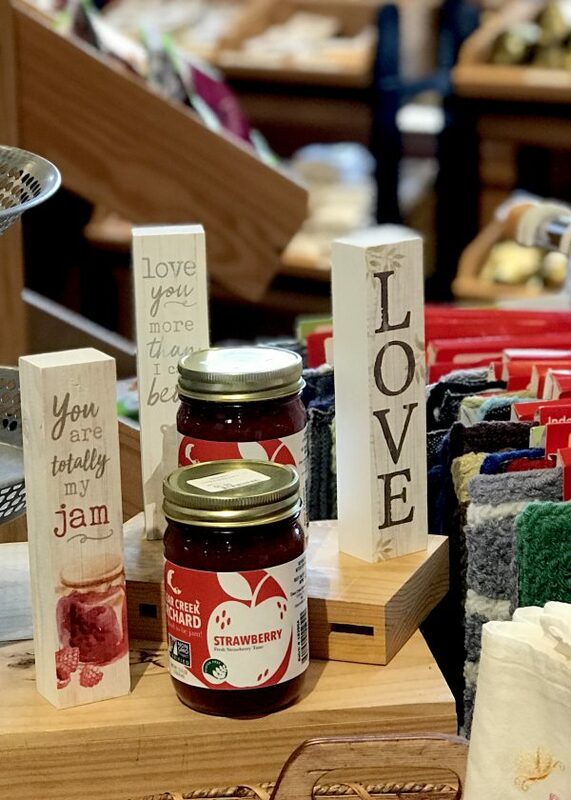 We stopped in to get some ideas for floating shelves and I ended up browsing though a collection of Iowa products, tea towels and kitchen gadgets. You never know where inspiration will strike. Your local bakery is an awesome resource for holidays. 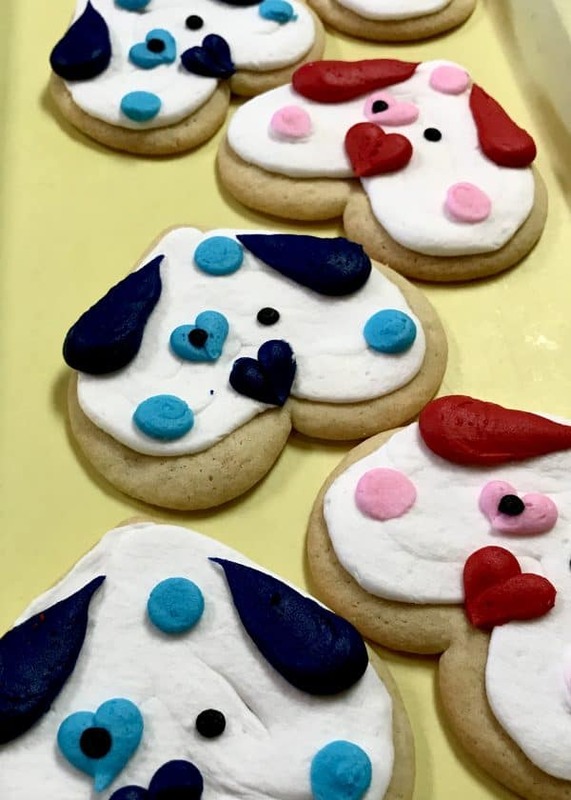 These adorable heart cookies made into puppy faces charmed me from the minute I ordered my latte at Dutch Oven Bakery. They had other cookie options as well as some very tempting individual cakes. Each bakery has their own personality. A little browsing might help you remember someone who could really use a little something from you. I think you should be very proud of me. I made it all the way to number ten before I played the chocolate card. This is one of the easiest and most impressive desserts ever made. Serving it warm with a scoop of ice cream melting on top is better than a box of chocolates. This is not just playing the card, it’s winning the game … the Valentine Food Gift game. It’s okay to be silly and to use lots of exclamation marks. 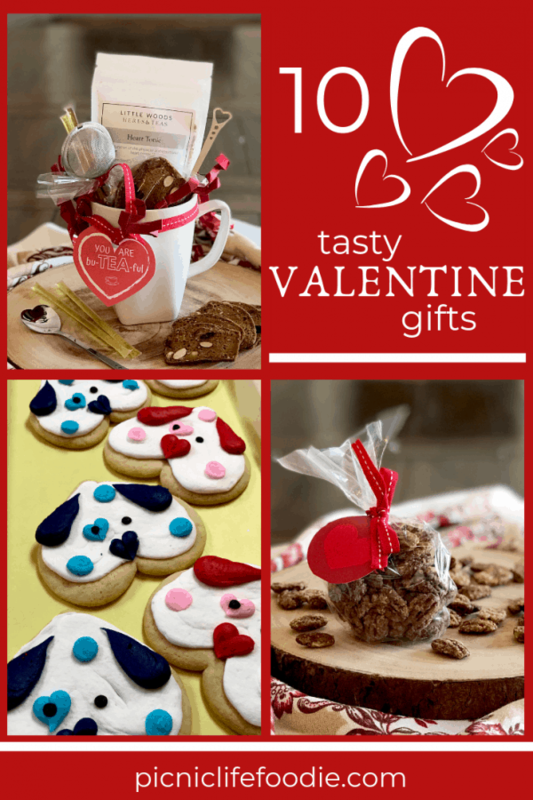 Being creative and clever and funny in simple ways is good for the soul … yours and your Valentine’s! If you haven’t found an idea for your Valentine here, take a minute to think of something simple they love (e.g. my husband loves doughnuts). Try to think of a pun or play or words that goes along with that item (e.g. I love you a HOLE bunch!). Make a tag or card and sneak it into their lunchbox, briefcase, purse, mailbox … somewhere it will surprise them and make them smile. It is possible you are thinking that you aren’t that creative. Here’s the solution to that problem: do what I did for the doughnut quote above and GOOGLE it! By typing “donut valentine” into the search bar, I found multiple options as well as some free printable cards. Technology can be wonderful!